New pairs of gem guitar pick earrings and hair clips! 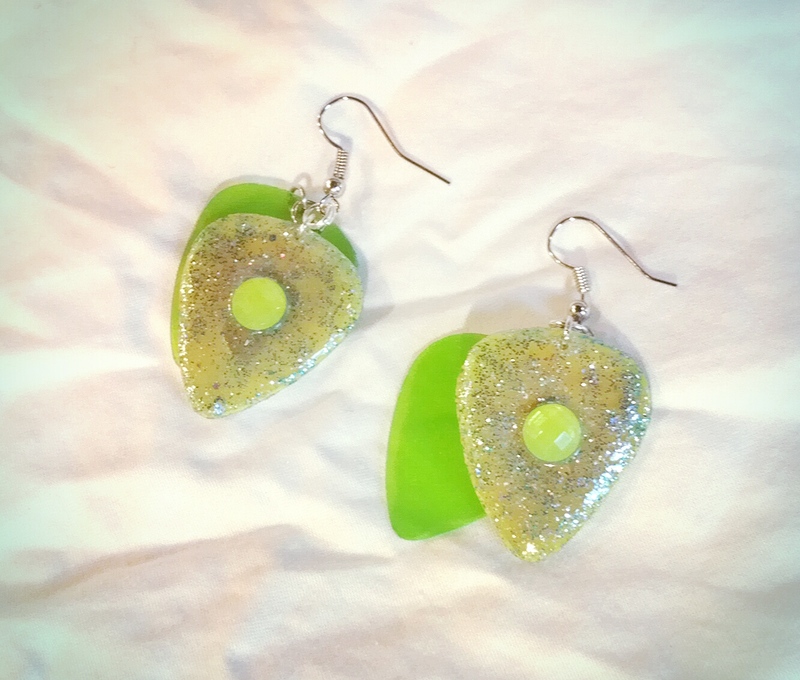 Just finished a few new creations made from a variety of materials. Each one of these sets features guitar pick hair clips or earrings with gems. 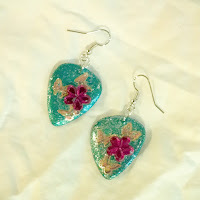 Metallic Blue guitar pick earrings with flower gems and butterflies. 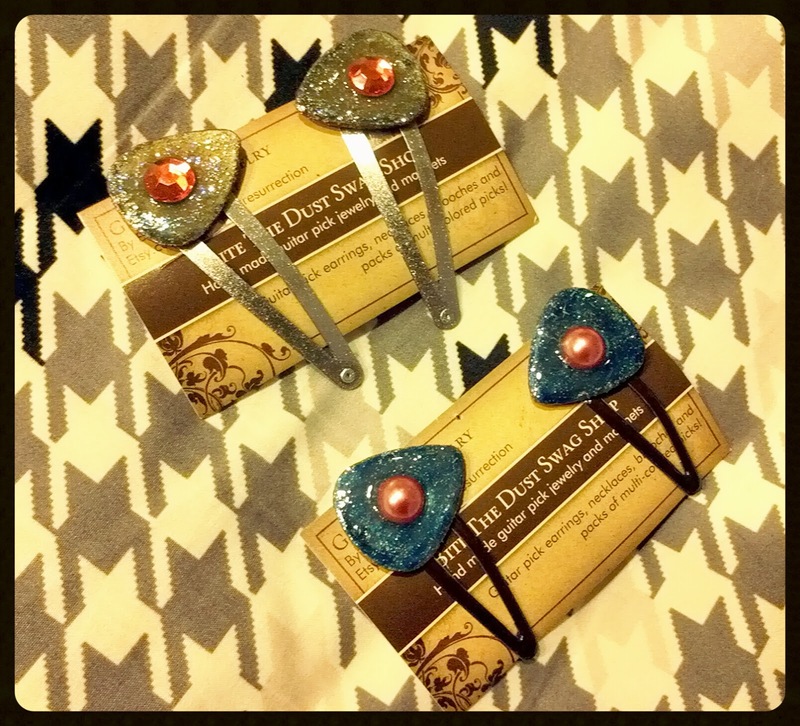 Blue velvet guitar pick hair clips with glitter and orange pearl gem - Dark brown clips. 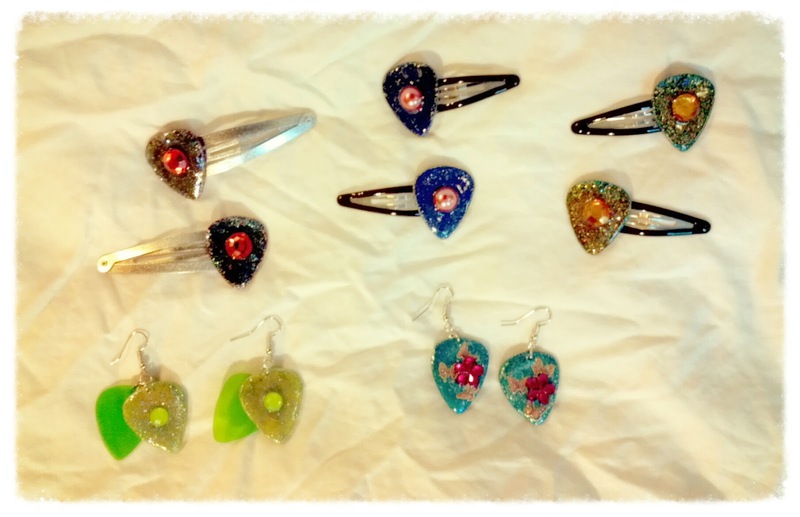 Silver guitar pick hair clips with orange gem and silver metallic clips. 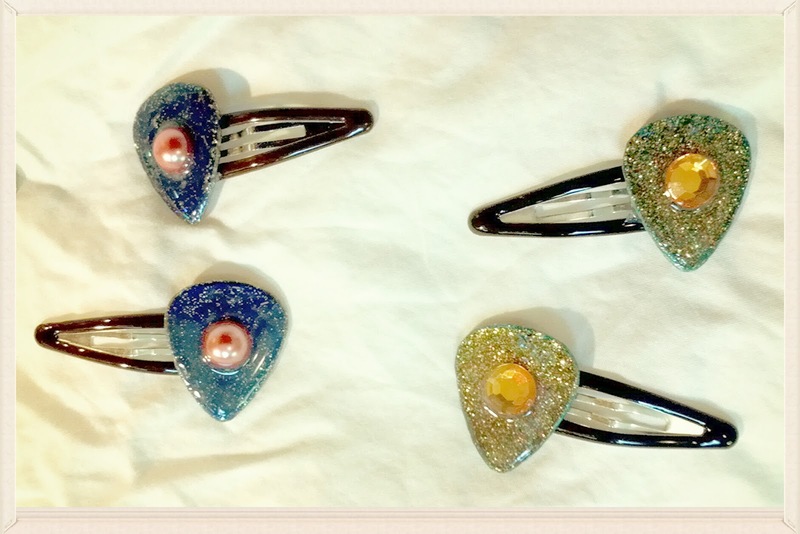 Gold guitar pick hair clips with orange gems and black clips.